A powerful trough with intense surface low slowly moving ENE along N Scandinavia. 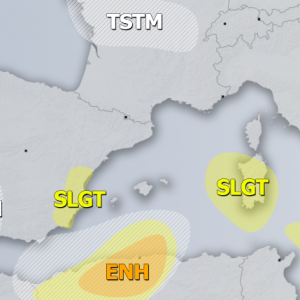 A deep upper low rotates over SW Europe. In between, a broad ridge covers the rest of Europe. 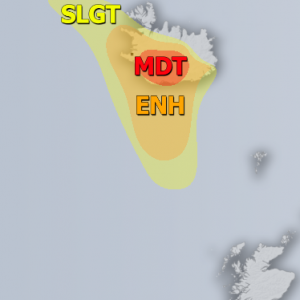 A SLGT risk has been issued for N Scandinavia with threat for severe winds. 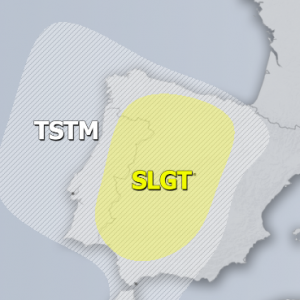 A SLGT risk has been issued for S Norwegian sea into SW Norway coastal areas with threat for severe winds and excessive rain. 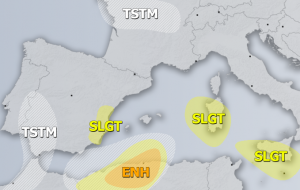 A SLGT+ risk has been issued for ENE Iberia into SW Mediterranean with threat for severe winds and torrential excessive rainfall and flash floods. 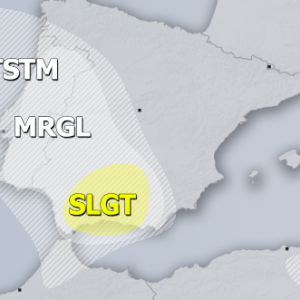 A SLGT risk has been issued for E Corsica and Sardinia with threat for excessive rain. 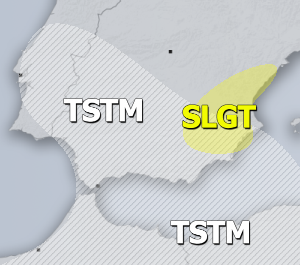 A SLGT risk has been issued for parts of S Italy with threat for excessive rain and some strong winds.